After graduating from The British School of Osteopathy, London in 1989, Robert practised in New Zealand for two years. He established the Hereford Osteopathic Practice in 1994 and has worked within the NHS at the Herefordshire Musculo-Skeletal Clinic since 2000. Robert is the General Osteopathic Council Regional Representative in the Three Counties. After Leone graduated in 2001 from the European School of Osteopathy, she worked in Clinics and surgeries in New Zealand, Hong Kong and London. 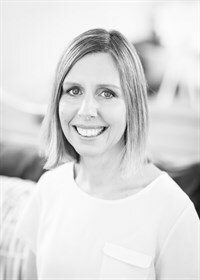 She completed her Masters in Paediatric osteopathy in 2006, and had trained to teach clinical Pilates in both a one to one and group environment. She treats both adults and children and after two years of private practice in Hereford is happy to join the team at Kyrle House. Tim qualified from The Joint Services School of Physiotherapy in 1983, whilst serving in the army. He was posted to Hereford in 1987 and soon became involved with local sports teams. Tim left the Army in 1990 to establish his private practice and also lectures on sports injuries for the Football Association & the National Coaching Foundation. Tim has also been working within the NHS at the Herefordshire Musculo-Skeletal Clinic since 2000. Kay trained at The Orthopaedic Hospital Oswestry prior to working in the London area. Since coming to Hereford she has continued to treat musculo-skeletal problems. Helen qualified at the University of Wales College of Medicine in 1998. She has worked in Shrewsbury, Oswestry and Hereford, in a variety of settings including hospitals and GP practices. She specialises in the treatment of musculo-skeletal problems. Stephen qualified in 1987. In 2000 he gained his MSc in pain management from Cardiff University. He has worked in a number of settings including the Nuffield Hospital, Hereford United and as a clinical tutor for the football association. He also works locally within the cardiac rehabilitation, specialising in the treatment of angina. Ellen Green MSc. Grad. Dip. Phys. Tim is a Retired General Practitioner who worked in Spinal and General Orthopaedics with Mr Vic Seal for fifteen years before specialising in musculo-skeletal medicine. Tim joined with Robert Blackburn and Tim Holt to set up the NHS based Herefordshire Musculo-Skeletal Clinic in 2000. Bridget is a qualified G.P. specialising in Acupuncture since 1981. She is registered with the British Acupuncture Council. Chinese medicine (of which Acupuncture is a branch) is a complete system of diagnosis and treatment and as such is able to treat a wide range of conditions. Stephanie will be providing a new musculoskeletal podiatric service, specialising in biomechanical examinations and gait analysis for lower limb and foot problems. Helen qualified from the Institute for Optimum Nutrition, Richmond in 2017 and began her private practice shortly thereafter. She joined Kyrle House in November 2018 and is also part of the therapist team at Breast Cancer Haven, Hereford.